We often think of the new year as a time to start fresh and get back on track after a busy holiday season jam-packed with celebrations to attend and last minute errands to run. So many of us set New Year’s resolutions in hopes of making ourselves healthier, happier, and better at things, yet in our culture of Fitbits and habit-tracking apps, we often neglect to schedule intentional time to simply bring up our concerns to Jesus and actually listen to what He has to say. That’s why eight years ago, LCMC Service Coordinator Mark Vander Tuig started the tradition of inviting everyone to set aside some intentional time for prayer at the start of each new year. Over the years, congregations have chosen to participate in this event in a variety of ways, including organizing events, creating resources, and utilizing technology. Some have simply asked each of the people in their congregation to set aside some time for prayer for each of the three days. Join us from January 7-9, 2020, as we lift up our congregations, our country, and the nations in prayer for the eighth consecutive year. If you haven’t already done so, be sure to follow us at facebook.com/lcmc.net or sign up for Three Days of Prayer notifications in the LCMC app so you can follow along with us during each of the three days. Detailed information on this event, plus resources submitted by other LCMC congregations, can be found online at www.lcmc.net/ three-days-of-prayer. Six years ago, Service Coordinator Mark Vander Tuig invited every congregation in LCMC to join in prayer for three days at the beginning of the new year. In the time since, our association has turned Three Days of Prayer into an annual tradition with many congregations choosing to organize prayer walks, host special services and vigils, or distribute resources to congregation members for each of the three days. Mark your calendars now for New Year's Day, because our next annual Three Days of Prayer will take place January 1-3, 2019. For updates on this event, be sure to follow our blog, or download our mobile app and opt-in for Three Days of Prayer push notifications in your app settings. App users who have selected this option will receive a reminder before the event and a message reflecting on the themes during each of the three days. As always, resources such as sample brochures submitted by other LCMC congregations can be found here. If your congregation hasn't already begun to do so, it's time to start planning for our 6th Annual Three Days of Prayer, which will take place January 2-4, 2018. In anticipation of the event, we're polling readers to find out how congregations plan to celebrate. In past years, many of our congregations have put together prayer vigils, organized a prayer walks, or offered a prayer service at a set hour each day. Others have simply asked each person to pray each day. Organize these three days in any way that you'd like...whatever works best in your congregation is the right way to go! You can learn more about Three Days of Prayer here. Also, be sure to sign up for Three Days of Prayer push notifications in our mobile app to receive a message with each day's theme! Congregations across the nation took part in our 4th Annual Three Days of Prayer from January 5-7, 2016. Every congregation, member and pastor in LCMC was invited by Service Coordinator Rev. Mark Vander Tuig to start off the new year by setting aside some time during each of the three days to pray. While congregations were encouraged to structure each of the three days in any way that made sense to the congregation, there was a theme set for each day. Day one was a day for confession, day two a day for petition and day three a day for vision. Over the past four years, LCMC congregations came up with creative ways of organizing the three days including prayer walks, prayer clocks, designing brochures and planning special events. 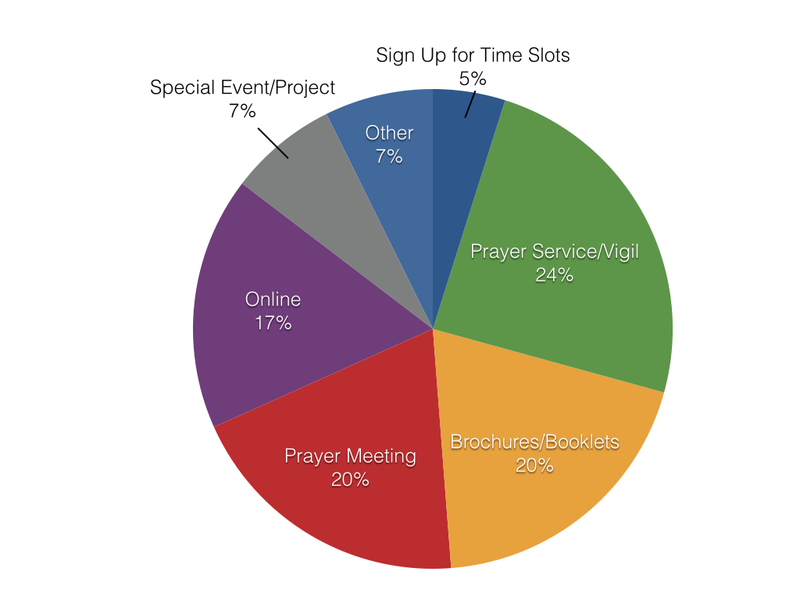 For 2016, the majority of congregations reported hosting special events and/or distributing brochures to members of the congregation who wanted to participate at home. While congregations generally focus on inviting their members to take part in the event, one congregation had the experience of an interested non-member joining them. 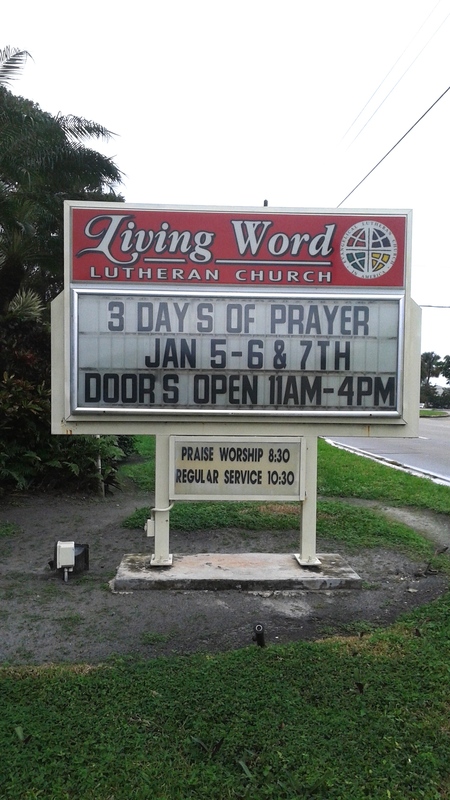 “We had info on our front sign and it was exciting that someone actually read it, turned around and came in to pray,” said Paula Mann, the congregational president of Living Word Lutheran Church in Lantana, FL. Each year, the number one piece of advice that LCMC-ers have given to others who may be taking part in Three Days of Prayer for the first time is to start planning in advance, then get the word out early and often. After participating in Three Days of Prayer for the first time, Karen’s congregation plans to continue offering weekly prayer meetings, which will be open to anyone in the local community who would like to attend. There are still eleven months left to plan for our next Three Days of Prayer, which will take place January 3-5, 2017. To learn more about Three Days of Prayer and download resources to help you plan for next year, visit www.lcmc.net/three-days-of-prayer. LCMC Service Coordinator Rev. Mark Vander Tuig invited members of LCMC to start off the New Year with three consecutive days of prayer, focused on confession, petition and vision, and organized in any way that made sense to the participants. From January 6-8, 2015, congregations, members and pastors of LCMC came together for the association’s Third Annual Three Days of Prayer. Based on a brief online survey that was conducted in January, about 46% of the congregations who reported taking part in the event this year were first-timers. While many LCMC congregations organized prayer services, meetings, walks and other special events to celebrate Three Days of Prayer, many congregations also reported distributing printed and online resources, allowing people to participate individually, as well. 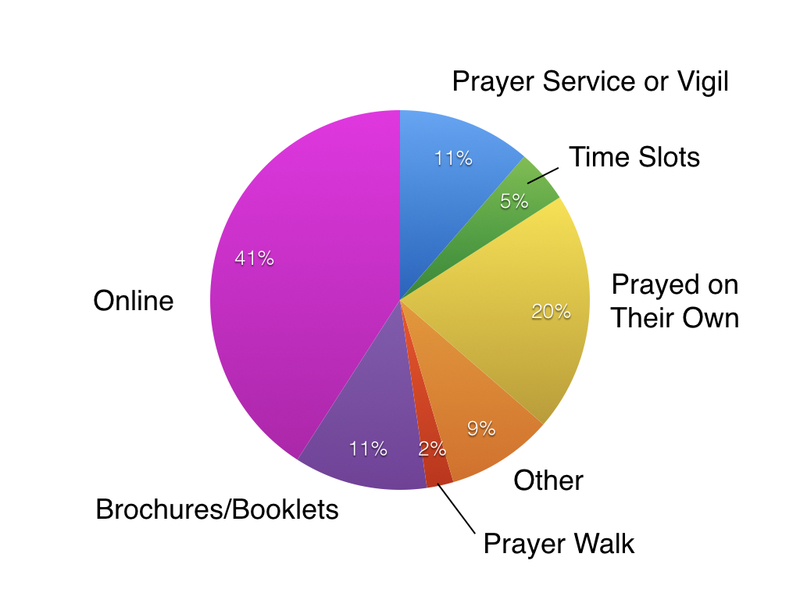 In fact, nearly 50% of people who responded to the survey reported having prayed individually on at least one of the three days. According to Rev. Donna Lou Zipp, the people of First Lutheran Church in El Campo, TX prayed individually, as well as in small groups. Her favorite part of Three Days of Prayer this year was coming together with others from her congregation on the Day for Petition. “It is amazing that during the precise time of the Three Days (this year and last) we witnessed God answering our requests right then and there. I was called to serve this congregation last year, and this year the exact ages of children needed to fill slots at our school enrolled and a very surprising, yet sizable contribution was given to our congregation. We are a struggling congregation who is in what I would refer to as a "recovery phase". The Three Days of Prayer is amazing...as you know, great things happen on the Third Day! We witnessed miracles. We look forward to expanding and enhancing our participation next year,” Rev. Zipp said. Many of this year’s participants cited the themes for each day, as well as the sense of togetherness that they felt, as their favorite things about this year’s event. “It's good to know that your prayers are joining those of a larger community, and to have a specific focus for the community.” said Karen Mason of Faith Lutheran Church in Monticello, MN. LCMC’s 4th Annual Three Days of Prayer is scheduled to take place from January 5-7, 2016, so mark your calendars, because the number one piece of advice that was given by this year’s participants was to start planning early. “Start talking about it with the planners in September to decide how to celebrate the event in your own particular congregation. December is too busy to be planning it,” advised Marda Kirkwood, a member of First Evangelical Lutheran Church in Idaho Falls, ID. 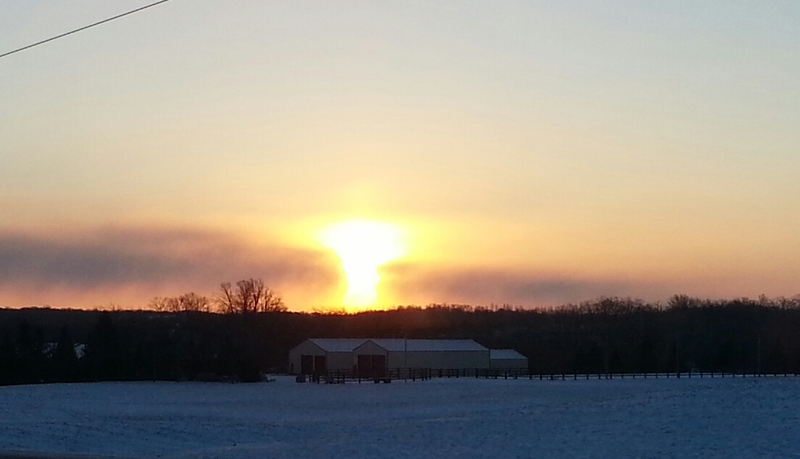 Photo courtesy of Karen Mason of Faith Lutheran Church in Monticello, MN. LCMC's Third Annual Three Days of Prayer is set to kick off on Tuesday, January 6, 2015. Last month, we asked our congregations how they planned to organize the three days. Videos of the speakers at our 14th Annual Gathering in Des Moines, IA are now available at our website. Does your congregation plan to take part in LCMC's Third Annual Three Days of Prayer from January 6-8, 2015? Let us know how your congregation plans to organize each of the three days. Next month, we'll share the results here in our Blog, as well as in our E-Newsletter! ]]> Share Your Three Days of Prayer Experiences http://www.solapublishing.com/blog/share-your-three-days-of-prayer-experiences/a345.html Tue, 08 Jan 13 00:00:00 -0700 Three Days of Prayer event, an opportunity for pastors, church members, and congregations as a whole to come together to set aside time for prayer. ]]> LCMC Invites All to Participate in Three Days of Prayer http://www.solapublishing.com/blog/lcmc-invites-all-to-participate-in-three-days-of-prayer/a341.html Tue, 18 Dec 12 00:00:00 -0700 Every congregation, member and pastor is being invited to set aside some time each day of January 8, 9 and 10, 2013 for prayer. Our attitude toward prayer has often been characterized by saying, “well, all we can do now is pray!”. Prayer is not the hopeless act of desperation. Prayer is a gift that God has given to us as a means to approach the throne of grace with confidence—like that of a child coming to her parents sharing concerns, victories, defeats and every part of life. It is an opportunity to express the deepest heartache and the greatest joy. Prayer is a conversation between the Creator and the created…and the conversation began with God, for us, in Christ Jesus.